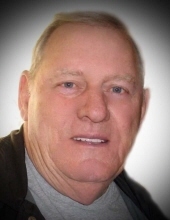 Ellis “Bug” Brown, age 75 husband of Veneta Patton Brown of Langley passed away from this life on Thursday April 4, 2019 at home surrounded by his loving family. Ellis was born on October 18, 1943 in Martin a son to the late Clarence Brown and Zola Stephens Brown. Ellis was a United States Army Veteran and retired security guard for the stripe mines and a member of the Freewill Baptist Faith. Along with his wife Ellis is survived by his kids: Rodney Brown and his girlfriend Jessica Kidd, Brandon Brown and his wife Whitley, Preston Boyd, Kaden Goines, Brantley Brown, Eric Brown, Dalton Halbert, Jonathan Brown, Jasper Brown. Anita Brown, Telisha Goines and her husband Bub, Nekisha Halbert, Nikki Brown, Ezabella Brown, Ellissa Halbert & Jimma Fey Stumbo all of Langley; and one brother: Ambers Brown and his wife Ann also of Langley. He is preceded in death by his parents: two sons: Ellis Brown Jr. and William Scott Brown; one son in law: David Hall: and two brothers: Edgel Brown and Mitchell Brown. Visitation: after 6pm Friday at the funeral home and all day Saturday with services nightly at 7pm Friday night with Bethel Bolen ministering. "Email Address" would like to share the life celebration of Ellis "Bug" Brown. Click on the "link" to go to share a favorite memory or leave a condolence message for the family.